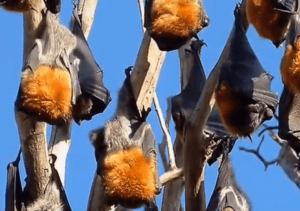 If you’re a bat, and specifically a Pacific Flying Fox bat, you want to settle in Tonga. Why? In Tonga, flying foxes are the official property of the King of Tonga, and no one except royalty is allowed to hunt them or harm them in any way. Flying Foxes’ main enemy are carnivorous human beings, which have long hunted them as a food source. 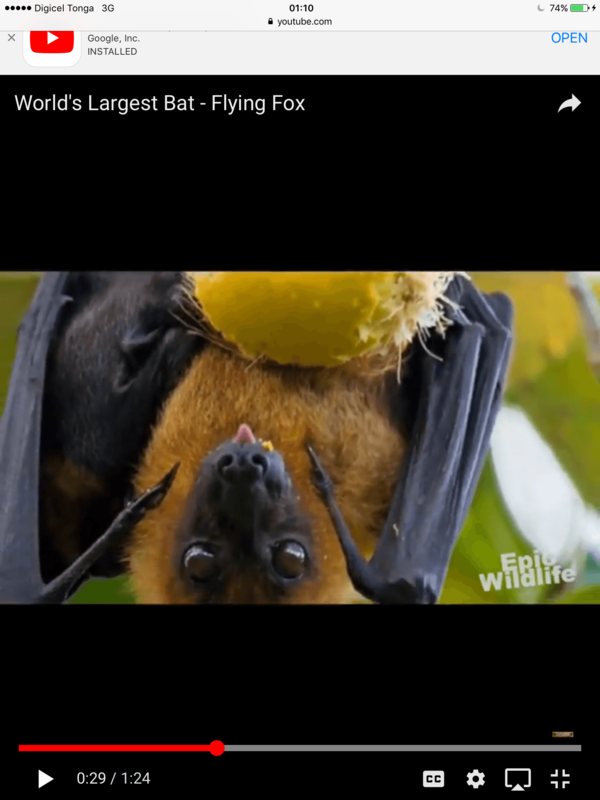 Although we can’t comment from personal experience, the fruit-eating flying Fox bat is reputed to make a very tasty meal. The bats can be found in American Samoa, the Cook Islands, Fiji, New Caledonia, Niue, Papua New Guinea, Samoa (where it is called pe’a fanua, pe’a fai and taulaga), the Solomon Islands and Vanuatu too, but only in the 171 islands east of Fiji called the Kingdom Tonga do these bats have the good fortune of being considered sacred. Maybe that’s why their Latin name, Pteropus Tonganus, has the word Tonga in it. 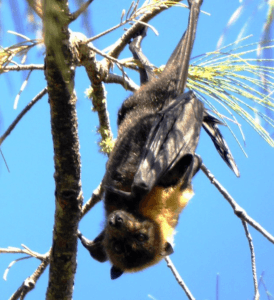 Flying Foxes’ protected status keeps their population robust on Tonga. 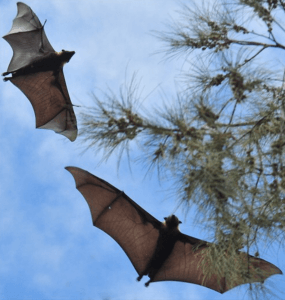 Every day in Vava’u Tonga, we would see dozens of flying foxes, or “peka” as the locals call them, fly over Golden Glow at dawn and dusk as they went to their night feeding grounds and then back to the mango and fig trees where they would roost and sleep during the daytime. 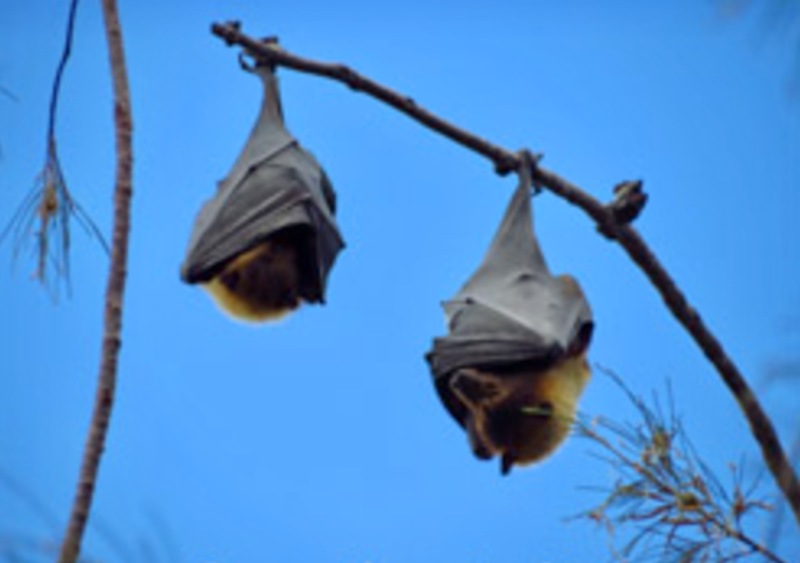 In Tonga you’ll also see baby bats attached to females and the adults mate frequently and as they hang from the trees. Males mark a section of a tree branch with their unique scent and then seem to lay claim to all the females that land within his territory by aggressively defending his mating rights against any other males that venture into his “harem”. 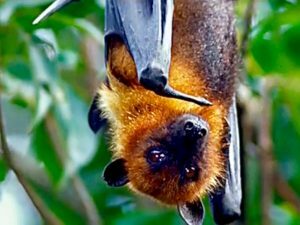 Though stories vary somewhat, both Tongan and Samoan legends claim that Tonga’s flying fox colony at Kolovai descended from a pair of flying foxes that Sina, the Princess of Samoa, presented to the Tongan monarch (a gift of love, some say).